Oslo and Akershus University College of Applied Sciences (HiOA – Hogskolen I Oslo Og Akershus) is the fourth largest higher education institution in Norway with 16000 students and 1600 employees. HiOA highlights interdisciplinary and interfaculty research in its overall research strategy. The Work Research Institute (AFI) is a social science institute at HiOA which performs multidisciplinary, action-oriented research, with the aim of producing systematic knowledge on the conditions necessary to create better work environments. The Research Group on Responsible Innovation is a trans-disciplinary research group based at AFI which delivers action oriented and policy relevant research related to research ethics and governance of science and innovation in general, and Responsible Research and Innovation (RRI) and ELSA (ethical, legal and social aspects) studies of emerging science and technologies more specifically. 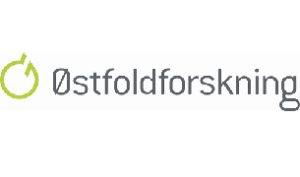 Østfoldforskning (Ostfold Research) is an independent research institute housing Norway’s leading experts in life-cycle assessments (LCA) for analysing the environmental performance of products and services. Our vision is to contribute to knowledge for sustainable societal development through innovation. Ostfold Research has 27 employees of which 25 are Research Scientists, with a broad background from chemistry, civil engineering, agriculture, ecology, resource management and social sciences. Our main expertise is environmental life-cycle assessment (E-LCA) for analysis of the environmental performance of products and services and as a basis for product development, green procurement or policy-making. Ostfold Research has also long experience in LCC (Life Cycle Costing) analyses as a basis for innovation processes, and is also developing Social-LCA methodologies for policy and practice. 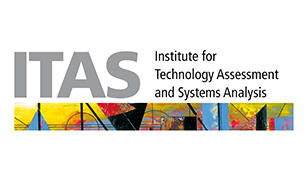 The Institute for Technology Assessment and Systems Analysis (ITAS) at the Karlsruhe Institute of Technology (KIT – Karlsruher Institut Fuer Technologie) is the largest and most long-standing scientific institution in Germany dealing with technology assessment (TA) and systems analysis in theory and practice. It has more than 100 scientific staff members; approximately half of them are natural scientists or engineers, the others hold a degree in social sciences or arts. ITAS investigates scientific and technological developments with a focus on their impacts and possible systemic and unintended effects. It produces analytical knowledge and assessments of socio-technical developments in order to provide policy and design options for decision-makers. The research covers ethical, ecological, economic, social, political-institutional, and cultural questions. Major goals are advice for research and technology policy, provision of knowledge for the design of socio-technical systems, and the organisation and observation of discursive processes on open and controversial questions of technology policy. 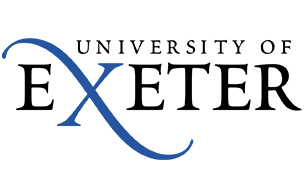 The University of Exeter is a member of the UK’s Russell Group of leading research-intensive universities. It is ranked amongst the UK’s top 10 universities in the Higher Education league tables produced by the Times and the Sunday Times. The CEA works in partnership with many other research bodies, local authorities and universities. It also participates in collaborative projects with a large number of industrial partners. 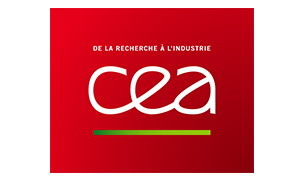 Within this context, the CEA is a stakeholder in a series of national alliances set up to coordinate French research in energy (ANCRE), life sciences and health (AVIESAN), digital science and technology (ALLISTENE), environmental sciences (AllEnvi) and human and social sciences (ATHENA). The CEA is active internationally in a variety of areas. As a multidisciplinary scientific and technological research organisation, it develops European and international collaborative programmes. It also performs sovereign missions entrusted to it by the State. It supports the deployment of French companies internationally. Finally, it works within the framework of the European Community. The CEA is established in ten centres spread throughout France. 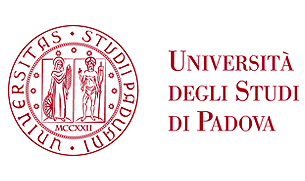 The Centre on environmental, ethical, legal and social decisions on emerging technologies (CIGA) is a multidisciplinary research centre of the University of Padova (Italy), exploring the links between technoscientific innovations, society, policy and regulation. The CIGA Centre is established by the Department of Philosophy, Sociology, Education and Applied Psychology and by the Department of Political Science, Law, and International Studies of the University. The Centre gathers a multidisciplinary research group in science and technology ethics, law, and sociology. SYNTH-ETHICS – Ethical and Regulatory Issues Raised by Synthetic Biology. 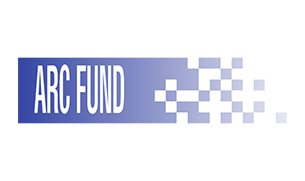 ARC Fund was established in 1991 and is a premier Bulgarian NGO active in the field of research and innovation policy with the aim of supporting the knowledge-based economy. ARC Fund specialises in two main thematic areas, which are important pillars of its mission: Information Society, and Science, Technology and Innovation Policy. In both areas, ARC Fund is engaged in applied research and analyses, public policy support and advocacy, capacity building, training, and knowledge and innovation brokerage. ARC Fund has a track-record of successful projects supported by the European Commission (FP4, FP5, FP6, FP7 and CIP, INTERREG IVC, South-East Europe Transnational Cooperation Programme, as well as Horizon 2020), the World Bank, UNDP, USAID, and the German Agency for Technical Cooperation (GTZ). Over the years, ARC Fund has successfully managed and partnered in more than 80 projects in the EU’s research and innovation framework programmes. ARC Fund started building its institutional capacity in forward-looking studies in 2001, and since then the organisation has implemented several sectoral foresight studies, and has become an active player in technology assessment and public engagement in research. 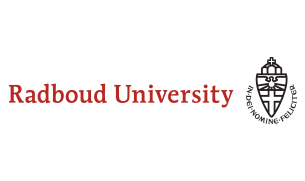 Radboud University is a broad, internationally oriented university that aspires to be one of the best in Europe. Together with the university medical center Radboudumc, it has created an intellectual environment that inspires and challenges its students and staff, so that they can extend the scope of academic disciplines and benefit society. Radboud University challenges its students to actively participate in the academic community and trains them to be critical and committed academics, with their own views regarding scholarship and society, who will take up responsible positions in a society which is becoming increasingly internationalised. The university’s academic staff comes from all over the world, and a large proportion of the student population has spent at least some months studying at a university abroad. For its core activities of research and teaching, Radboud University draws its inspiration from academic curiosity and the demands placed upon the university by society. The Institute for Science, Innovation and Society (ISIS) is a special organisational unit of the Faculty of Science. Its mission is to analyse, assess and improve the societal embedding of science and technology, through research, education and communication, in close collaboration with the other Institutes of the Faculty of Science. Important research themes are Social-Ecological Transformations and Emerging Technologies and Responsible Research. 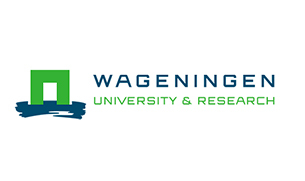 Chairgroup Knowledge, Technology and Innovation Group (KTI) at Wageningen University studies processes of socio-technical innovation and transformation. We focus on communicative and socio-political dynamics involved in the production, exchange, integration and use of scientific and other knowledge. We specialize in interdisciplinary research and design. This simultaneously involves studying technology’s impact on society and the social shaping of technology as two sides of a co-production process, and the analysis of interactions, interventions, design approaches and institutional set-ups relevant to enhancing and supporting innovation processes in society. These endeavours to understand science-society interaction are situated in the context of challenges and opportunities in the Wageningen domain, such as food security, poverty, health hazards, inequality, health promotion, environmental degradation, climate change, conflict and scarcity of resources. The Chinese Academy of Science and Technology for Development (CASTED) is a specialised Institute of the Ministry of Science and Technology of China. 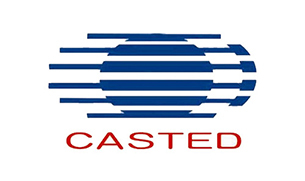 CASTED was established by the State Council of China in 1982 and is chiefly engaged in studies of strategies, policies, R&D systems, evaluation of national S&T developments and S&T for economic progress and social development. CASTED’s study and advisory service focus on the development of S&T for economic growth and social development and covers a wide area which includes technology foresight, strategies for sustainable development, evaluation of IPR regimes, etc. Its role as advisory body is directed not only at the Ministry of Science and Technology, but also other Ministries of the Central or Local Governments. 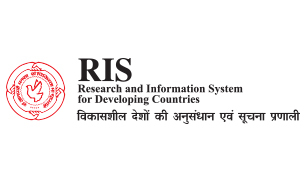 RIS is an autonomous policy research think tank founded and funded by the Government of India. RIS provides policy research and advises various departments and ministries like Department of S&T, Department of Biotechnology, Ministry of Environment, Forest and Climate Change, Ministry of Commerce and Trade, Ministry of Finance. It has undertaken research or worked with organizations like UNESCO, OECD, NITI Aayog and National Biodiversity Authority on various S&T and Innovation issues. The faculty of RIS has participated in many international research projects funded by the World Bank, European Commission and Asian Development Bank and has represented India in negotiations in international treaties and conventions. RIS publishes two journals, of which one is on Biotechnology and Socio-Economic Development. RIS has 30 faculty supported by 35 administrative staff. RIS was a partner institution in EC funded projects: Innova–P2, GEST PROGRESS and Gen Benefit, and is currently involved in RRI-Practice and REWARD projects. The Science, Technology and Innovation Program in RIS explores the implications and impacts of emerging technologies and S&T and Innovation policies. Arizona State University (ASU) is a public metropolitan research university on five campuses across the Phoenix, Arizona, metropolitan area, and four regional learning centers throughout Arizona. The 2016 university ratings by U.S. News & World Report rank ASU No. 1 among the Most Innovative Schools in America. 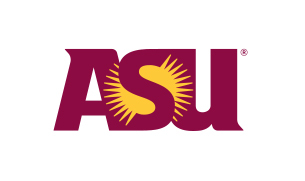 ASU is the largest public university by enrolment in the U.S., with approximately 82,060 students enrolled in 2014. More than a decade ago, ASU set forth a new and ambitious trajectory to become a comprehensive knowledge enterprise dedicated to the simultaneous pursuit of excellence, broad access to quality education, and meaningful societal impact. From that point forward, and founded on a vision for a new “gold standard”, all of its energy, creativity and manpower have been brought to bear on the design of a uniquely adaptive and transdisciplinary university committed to producing master learners. FUNCAMP is a privately held non-profit foundation, founded in 1977 by the Dean of the State University of Campinas – UNICAMP, aiming to provide the necessary human and material resources to meet economic, social, educational, cultural and social security goals at UNICAMP. 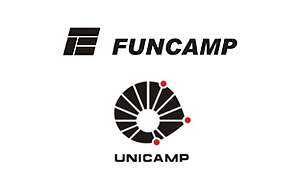 FUNCAMP plays a crucial role in assisting the development of scientific research at UNICAMP by managing resources to buy equipment, hire qualified professionals, among other activities. FUNCAMP thus manages the resources so UNICAMP can better execute research activities, as it has the expertise to develop research projects through professors and researchers hired by the University. FUNCAMP focuses on supporting scientific education and research, as well as supporting the development of the scientific community by promoting the interaction between the university and society, the private and public sectors. State University of Campinas – UNICAMP is a public state university, funded by the State of São Paulo, and one of the major research institutions in Latin America. It accounts for approximately 15% of Brazil’s scientific output, and is second only to oil major Petrobras in patents registered by Brazilian institutions. Research at UNICAMP is carried out by about 1,700 faculty members, 300 staff members and 16,000 graduate students in 700 research groups. The university ranks consistently very well in international studies, being recently named 17th best university under 50 years by The Quacquarelli Symonds rankings, and the 28th best institution less than 50 years old by The Times Higher Education ranking. It currently has 156 graduate programs (74 Master and 68 Doctorate programs) and 70 undergraduate programs. The University of Queensland (UQ) contributes positively to society by engaging in the creation, preservation, transfer and application of knowledge. UQ helps shape the future by bringing together and developing leaders in their fields to inspire the next generation and to advance ideas that benefit the world. UQ strives for the personal and professional success of its students, staff and alumni. UQ ranks in the top 50 as measured by the Performance Ranking of Scientific Papers for World Universities. The University also ranks 51 in the QS World University Rankings, 52 in the US News Best Global Universities Rankings, 60 in the Times Higher Education World University Rankings and 55 in the Academic Ranking of World Universities. 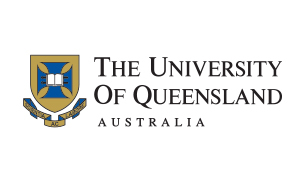 UQ is one of Australia’s Group of Eight, a charter member of edX and a founding member of Universitas 21, an international consortium of leading research-intensive universities. UQ’s 50,000-plus strong student community includes more than 13,000 postgraduate scholars and more than 12,000 international students from 144 countries, adding to its proud 230,000-plus alumni. The University has about 7,000 academic and professional staff and a $1.7 billion annual operating budget. The University of Bristol is one of the most prestigious universities in the UK. It is a thriving international community combining excellence in research and innovation with a vibrant entrepreneurial culture. Research is at the heart of the University’s mission and accounts for its international reputation. The University organises its academic affairs across six faculties: Engineering, Science, Health, Biomedical Sciences, Social Sciences and Law, and Arts. In the 2014 Research Excellence Framework (REF2014), over 98% of research at the University was deemed to be of an international standard. Over 83% of the research assessed was awarded either the top 4* rating, defined as ‘world leading’, or the 3* rating, ‘internationally excellent’. As a result, in 2015-16 the University was allocated the 8th highest share of government research funding in England. The University participates in hundreds of international collaborations both within and outside of Europe and attracts research funding from organisations around the world.